Visit Family Vacation Critic on Facebook! Visit Family Vacation Critic on Twitter! Visit Family Vacation Critic on Instagram! 1 Subscribe to stay up to date! 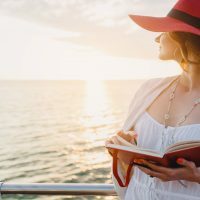 Once upon a time, cruising was little more than a fun mode of transportation, a floating bottomless buffet with which a family could explore several exotic locales in a single helping of precious vacation time. Nowadays, cruise ships have grown in size, many of them featuring a dizzying amount of eye-popping amenities. Cruise ships ARE the destination. 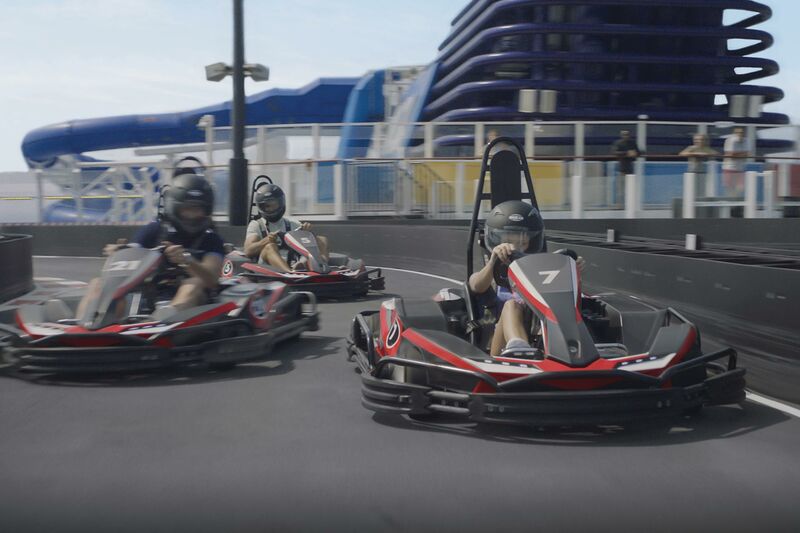 The enticing ports of call are just the cherries on top of a sundae loaded with go karts, laser tag, IMAX theaters, ice skating rinks, bumper cars, ziplines and more. These are the coolest experiences on cruise ships. 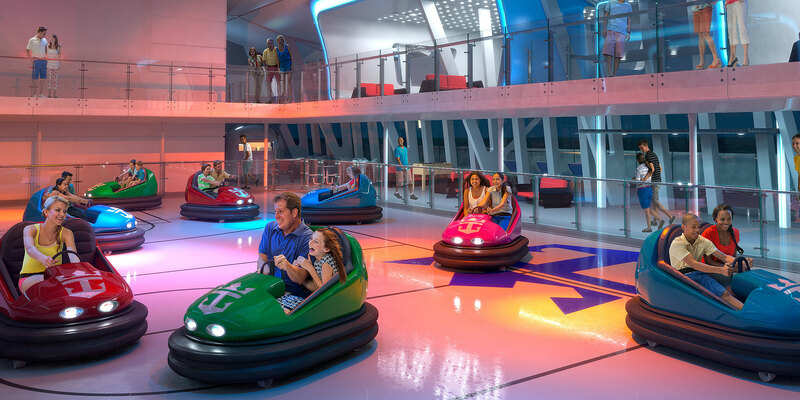 Take a bit of the local county fair with you on Royal Caribbean’s Quantum of the Seas, which offers bumper cars! 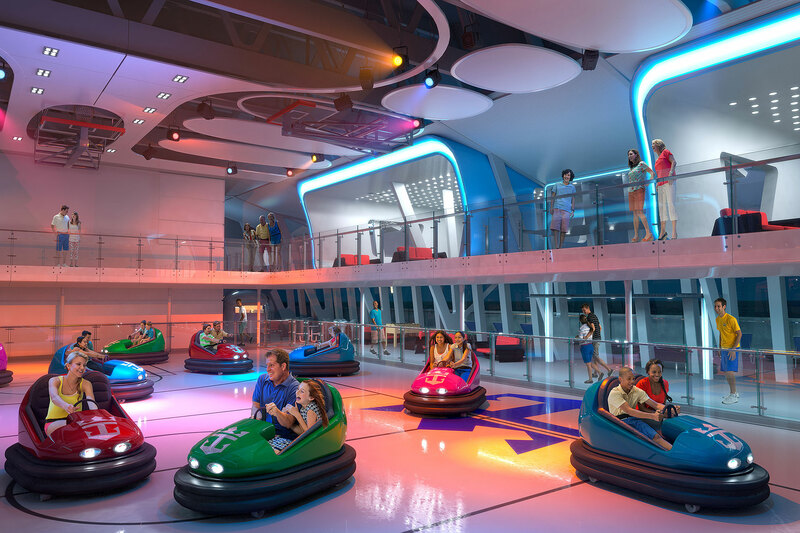 Located in the ship’s SeaPlex family entertainment center and gymnasium, the large bumper car room was the first-ever on a cruise ship when it debuted in 2014. Years later, it’s still a hoot to gently love tap (or slam into) your kids and partner! Your family can pedal hanging recumbent-like cycles at speeds of up to 18 mph across an elevated 800-foot-long track around Carnival’s two newest cruise ships while at sea or in port. A small portion of the SkyRide track is — gulp — actually hanging high over the water! Whether you’re racing your kiddo or just taking a leisurely ride to see the sights from a new perspective, Carnival’s SkyRide is easily one of the coolest experiences on any cruise ship in the world. The brand-new Bliss ship has a competitive Go-Kart track spanning two decks, with karts reaching speeds of 30 mph! There’s nothing like this on North American cruise ships and the experience of zooming around a race course while out at sea is quite possibly the coolest thing a family can do on a cruise vacation. 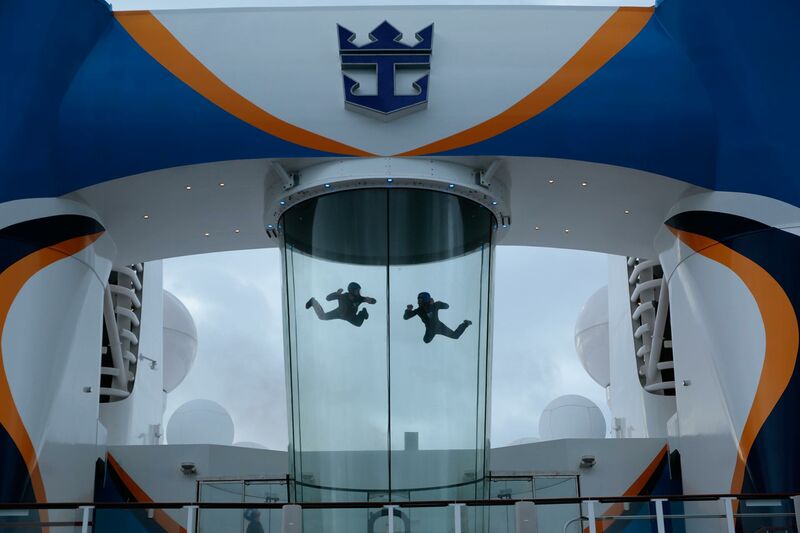 Being dropped from an airplane and being on a ship surrounded by water seemed like two disparate concepts until Royal Caribbean installed an iFly skydiving simulator on its Quantum class of cruise ships (Quantum and Anthem of the Seas). Now, you and your kids can pull on a flight suit and soar safely in a glass tube as your cruise vacation takes you to the next port of call. Better yet, each guest’s first flight is free! 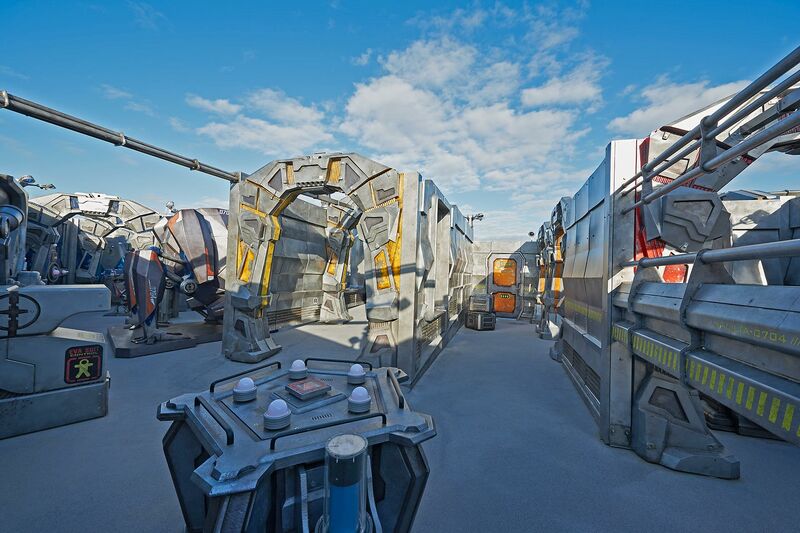 The Bliss also features an innovative open-air laser tag arena that looks like the set of a Transformers movie! Norwegian cruise guests get to chase each either around and shoot their laser guns during the day and night while at sea and in port. Most all ziplines we know on land go through the trees, local parks or exotic rain forests. 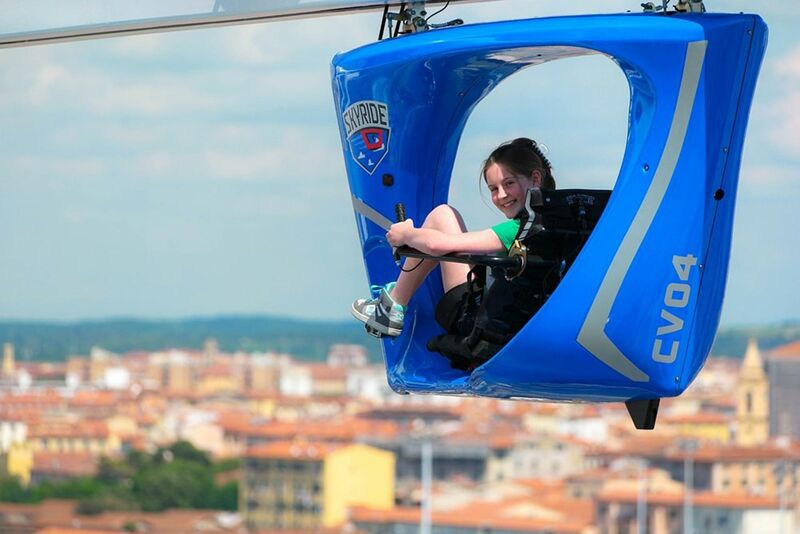 But thanks to Royal Caribbean, you and your kids can partake in the aerial fun while on your family’s cruise vacation! 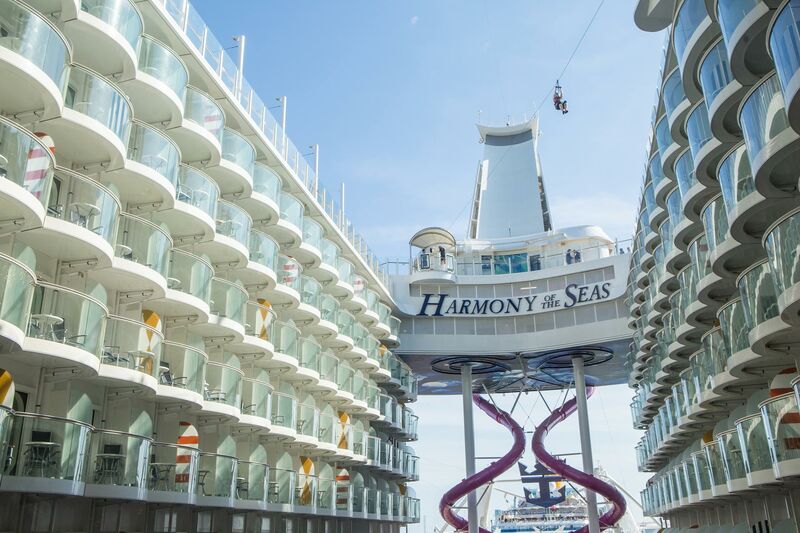 Soar for free, high above the carousel and trees of Royal Caribbean’s boardwalk nine decks below, for a cool cruise ship experience like no other. Now that the two ships receive the newest blockbuster movies on the day they are released on land, the experience of sinking into a comfortable theater chair inside the beautiful only two IMAX theaters at sea is a truly special treat. The 187-seat theaters are part of the Carnival Multiplex, which also houses a multi-dimensional Thrill Theater. Take a four-deck, 765-foot journey on the epic Aqua Duck water ‘roller coaster’ on the Disney Dream and Fantasy ships! You and your kids will glide down a clear tube on a two-person raft, going over the side of the ship for a baker’s dozen of those feet, some 150 feet above the sea below — oh my! 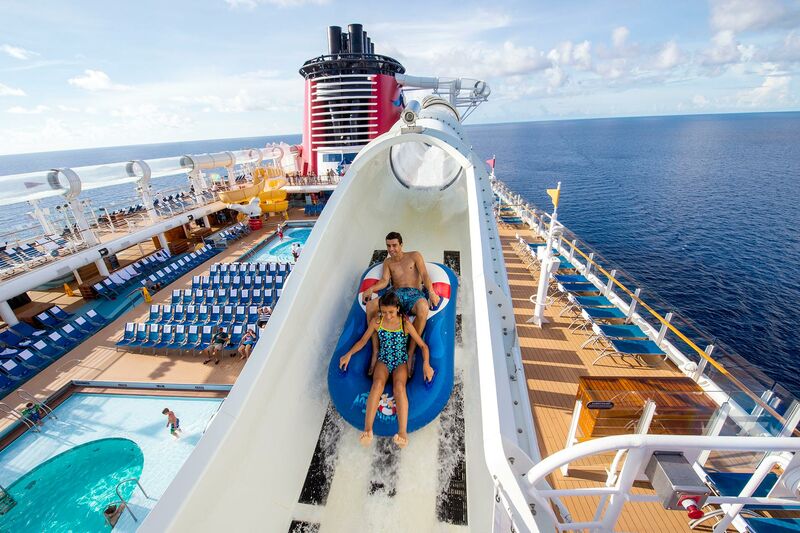 The tallest slide at sea will have the bravest 44-inch-and-taller members of your family plummeting 10 stories! 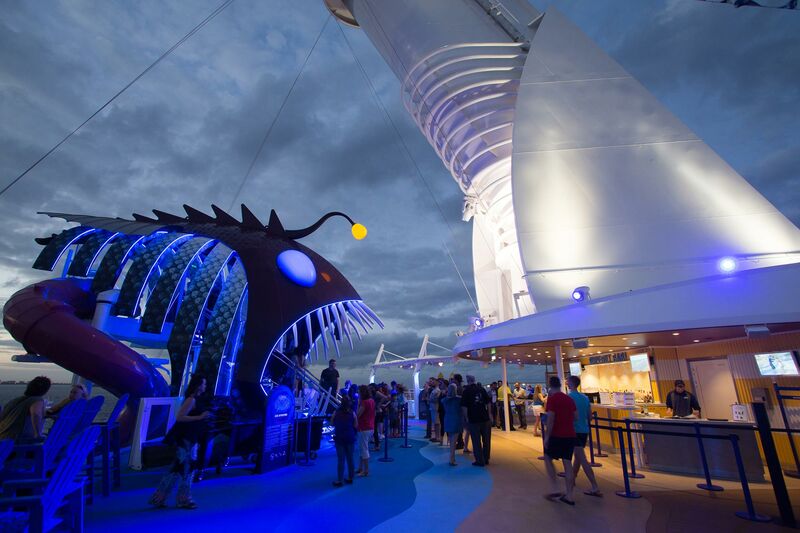 Step into the mouth of a rather terrifying, fanged bioluminescent angler fish on the top of the largest cruise ship at sea, peer into darkness and VROOM! — off you go into the abyss. It’s not a ride and there are no harnesses or special outfits to wear. But we think the SeaWalk on the Regal and Royal is a pretty cool experience. Essentially, this is just a walkway, but the SeaWalk proves itself to be much more than that! 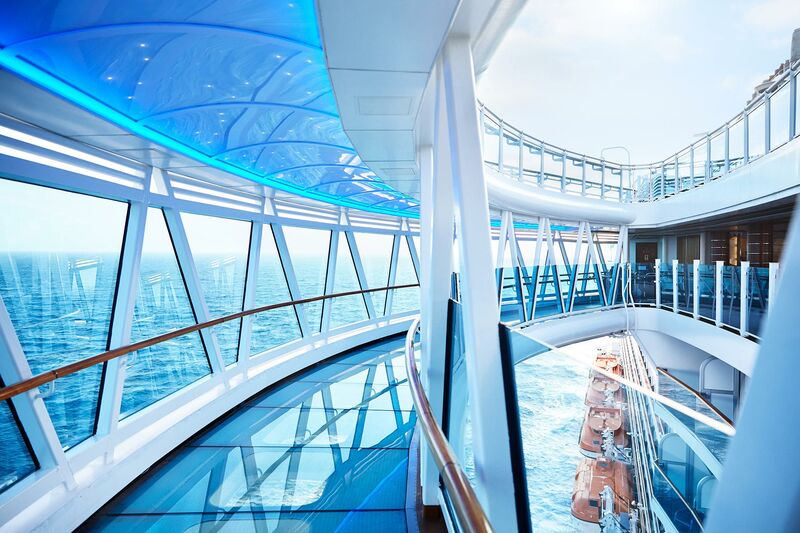 It’s a 60-foot long corridor that extends a mind-boggling 28 feet beyond the edge of the ship, putting the whole walkway over the sea and well over 100 feet above the water. Oh, yeah — it’s all glass too (even the floor)! 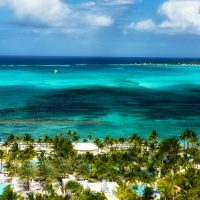 Cruise vs. All inclusive Resort: Which One Is Right for Your Next Family Vacation? Yes, please send me expert advice, handpicked recommendations, and tips for your family! 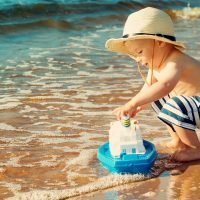 Family Vacation Critic is a participant in the Amazon Services LLC Associates Program, an affiliate advertising program designed to provide a means for sites to earn advertising fees by advertising and linking to Amazon.com. Family Vacation Critic also participates in the SkimLinks and SkimWords affiliate programs. Get expert advice, handpicked recommendations, and tips for your family all year round!